Celebrate the gift of adoption! Join us for the second national Together for Adoption conference in Canada to consider how we can serve children without families. You’ll learn about foster care and adoption, parenting children who have experienced trauma, and ways to lead an adoption ministry in your church! 4 Main Sessions & 16 workshops and exhibitors to help you in your adoption or fostercare journey! Speakers include: Paul Pennington, Debra Delulio Jones, Pastor Joyce Rees, Pastor Matt Boda. This conference presented in partnership with ABBA Canada and a coalition of Calgary area churches including RockPointe, Centre Street, First Alliance and Glamorgan Church of God. Help ABBA Fund win a $50,000 grant! ABBA Fund is currently holding steady in the Top 20 to be considered for a $50,000 Giving of Life Grant, but we need your help to stay there! The voting officially ends Friday, November 4th! If you have not voted yet, please visit the ABBA Fund’s Giving of Life webpage. There you will find the VOTE button and that’s all it takes – just one click of a mouse! Why stop there? Did you know you could get TWO extra votes? All you have to do is register an account here. The best form of communication is through word of mouth, so share with your friends, family, neighbors, and co-workers where to go and what to do. You can also share the link http://givingoflife.com/browse/abba_fund/on Facebook, Twitter, LinkedIn and your Blog! Let’s make this viral! A big thank you to all those supporters who have voted for ABBA Fund and encouraged friends and family to vote also! We are so grateful to you for helping us partner with Christian couples on their adoption journey! A kind note came in today to Dan Cruver, Director of Together for Adoption, and we’d love to share it with you all. This adoptive father was excited to share some news about accepting a leadership position at a domestic adoption agency and provided encouragement by sharing some of his testimony. ABBA Fund was blessed to be a part of this family’s adoption journey by providing an interest free loan through one of our church partners at the end of March this year to help bring their child home! I wanted you to be one of the first to know, because the Lord has used you as a very instrumental part of this process in our lives over the last few years. Looking back we can see that we were at a watershed moment when we attended the first Together for Adoption Conference in Greenville. Honestly, it’s a little scary to think about the turn our lives might have taken had we not attended the conference. Out of that one weekend the Lord enabled us to joyfully embrace adoption as a picture of the Gospel (as opposed to embracing it begrudgingly as our “Plan B”). Through your ministry, we were blessed to have a Gospel perspective on adoption from the start, and it’s made all the difference in our journey over the last few years. I can’t really express in an e-mail the passion that we now feel for adoption. I suspect it’s similar to what you feel in your own heart. Suffice it to say that we have a strong sense that this is where the Lord has been leading us for quite some time. Not only have we been blessed to adopt our children, but we are now asking the Lord that He would work through us to advance the Gospel in broken lives all across our state, that many birthmothers would come to know Jesus, and that many children would be saved from abortion. Thank you again for your ministry; know that God is working through you and through T4A in very real ways. To find out about this year’s Together for Adoption Conference, please visit www.togetherforadoption.org. Afraid. Happy. Surprised. Blessed. Scared. Complete, on your knees, surrender. Sound familiar? These may be emotions that you are currently experiencing, or have experienced, when facing financial obstacles along your adoption journey. Maybe you are one of the many people that struggles to get out of the mind-set that adoption is just not affordable and could never happen for you. We have had countless discussions that begin like this and that end with a sigh of relief or a voice less shaky; a face less tense. This often happens when informing individuals about how, when breaking down the costs and seeing examples of how other couples have tackled the financial hurdles, the Lord always provides for His faithful children. In His own ways, in His own time. 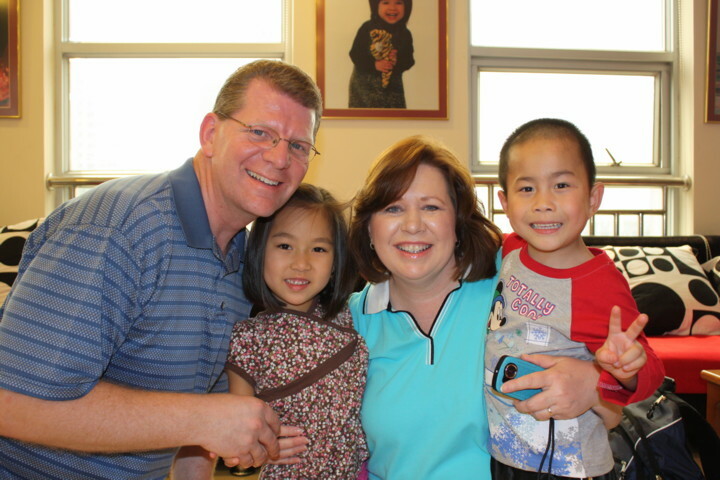 When Mark and Anita applied to ABBA Fund, they were seeking financial assistance to bring their son home from China. They believed that the Lord would supply as they worked and saved. As they raised funds, they held a yard sale, a community spaghetti dinner and had internet give-aways and more. One of the give-aways raised $1,300. Family friends even offered a Matching Donation which raised over $3,000.00. The Hiehles also sold a family ring for $1,000.00. When they contacted ABBA Fund, they still needed $8,000.00. Mark and Anita are one of many examples of a couple that stepped out in faith, evaluated their own financial resources and options, and rolled up their sleeves to seek external ones. Just prior to setting up travel dates they received great news that they had been approved for a grant they had applied to, and their only remaining need from ABBA Fund was now decreased to $2,500! Imagine how scary it must have felt for this couple to write “$8,000” on their application with the uncertainty of not knowing how this would be provided. Now also try to imagine the “tug” on their heart strings from the Lord comforting and reminding them that He is sovereign and will always provide! We are excited to share their wonderful note and pictures below! We just returned home with our sweetheart boy, Kaleb, last Friday and wanted to say Thank You so much for your part in his God story! We had a wonderful trip to and from China. Kaleb knew us from the moment he ran into the room in Guangzhou to greet us with great big hugs screaming “Momma, Baba”!!! He’s been that way ever since, as you can tell from his pictures, with smiles and lots of “I love you’s” in Chinese and English. 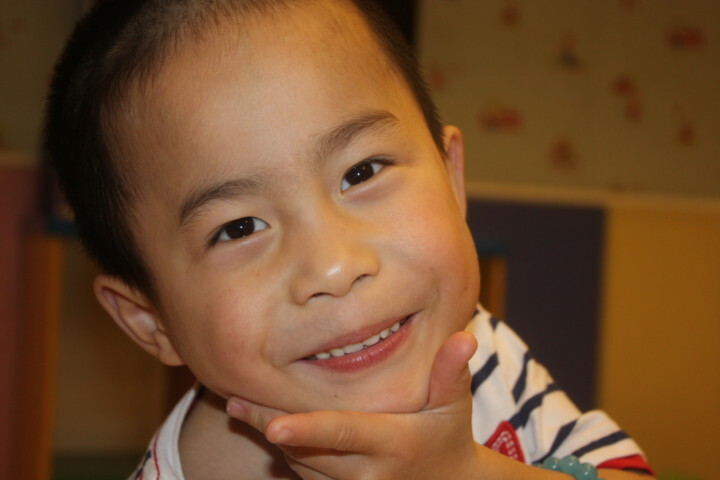 He’s coming along very quickly with his English skills and simply enjoying his forever family. Thank you so much again for choosing to be a part of what God did to bring Kaleb home! We will be forever grateful!! Anita & Mark, Kaylin and Kaleb! Mars Hill Church in Bellevue, WA. is just one of the churches that has recently set up an adoption fund. The following is just one story of a family at Mars Hill and how they’ve benefited from the fund. Babies often come from “fireworks”, but this time it wasn’t a metaphor. In our recent sermon on Luke 10 Pastor Mark talked about an incredible story of adoption and how God is a loving Father who adopts us into his family. It made me think about another one of our amazing families in Mars Hill who share this amazing heart. Josh and Sarah, the Weiseths’ Community Group leaders, felt compelled to start a fund for adoption through The ABBA Fund. The ABBA Fund offers interest-free loans for families to help finance adoption. They cast vision to their Lynnwood Community Group, asking them to get involved raising money to put in the fund. After helping the Weiseths with their fireworks stand two years ago, they recognized a good way to raise a lot of money in a short period of time. They approached Mars Hill Shoreline’s micro-mission fund and asked them to match what they raised, dollar for dollar, up to $10,000. Partnering with TNT Fireworks and setting up a stand in Lynnwood, people in the Community Group worked for three days shifts – selling fireworks, running the cash register, setting up, tearing down, and watching the kids. They raised approximately $5,500.00 worth of fireworks and with the matching grant, the Mars Hill ABBA fund will have about $11,000.00 available for families to borrow. Andrew and Amber also operated another fireworks stand this summer and raised $4,500.00 to help with the expenses they need to bring home their daughter from Ghana in the near future. This is just the beginning of what Josh, Sarah, Andrew and Amber hope to see happen. They have dreams of many more fundraisers, and hope that many Mars Hill families will have a heart for adoption and benefit from the ABBA Fund. Your ideas, help and hands are welcome to help fulfill this vision.